so how things work regarding the "+ New" menu options? does this mean that we can not copy the home page of the site? 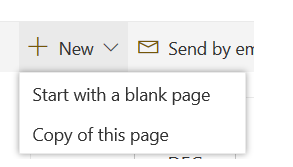 I have done a test in my SharePoint online and i cannot reproduce your issue. Have you customized the modern page? 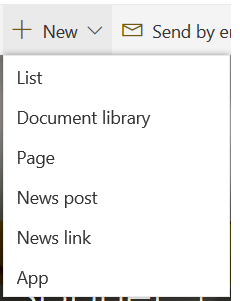 Try to create a new modern page, copy the page using "Copy of this page", check the "+ New" menu for the copied page. Not the answer you're looking for? Browse other questions tagged sharepoint-online modern-experience modern-pages modern-team-site or ask your own question.